In the same pan fry off the aubergines (and mustard seeds) in a little more oil, let them take a little colour then add the garlic, ginger, mushrooms, garam masala, cumin, coriander and turmeric. Add a little water if needed to stop everything from burning. After a minute or so dump in the chicken stock and the mushroom water (plenty of flavour in there). 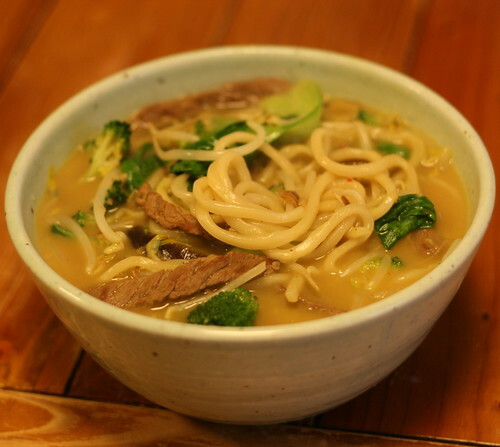 Bring to the boil, add the coconut milk and top up with boiling water according to how soupy you like your noodles. Throw in the noodles and let them cook through (my packet said five to six minutes). Toss in the soy sauce, seafood powder and chili powder. Add any other seasonings you fancy. 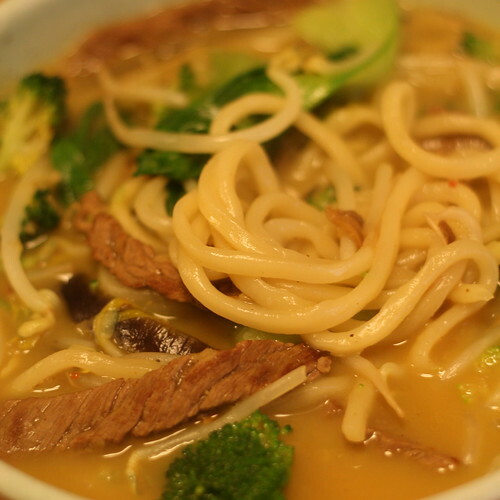 When the noodles are almost done put the bok choi, broccolli, steak and beansprouts into the pan. Let the whole mix cook for another minute or so and then serve. 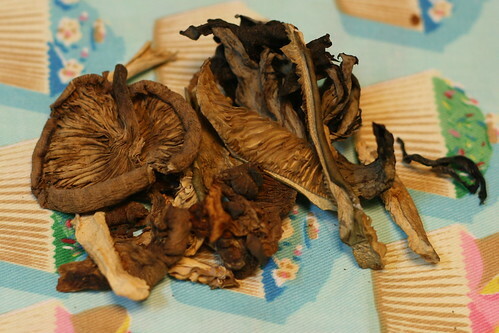 I used European dried wild mushrooms, but Korean dried oak mushrooms will work just as well. You can replace the steak with pork, chicken or seafood and you can use any kind of stock you like (but do try to make your own). 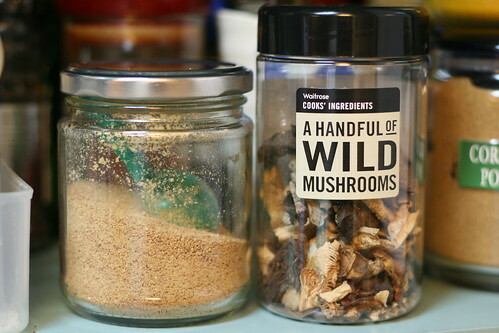 Seafood powder on the left, Waitrose's very own wild mushrooms on the right. The seafood powder is known as 해물조미료 (or 해물다시다). We use the 산들애 brand (with bonus cute bunny on the packet). 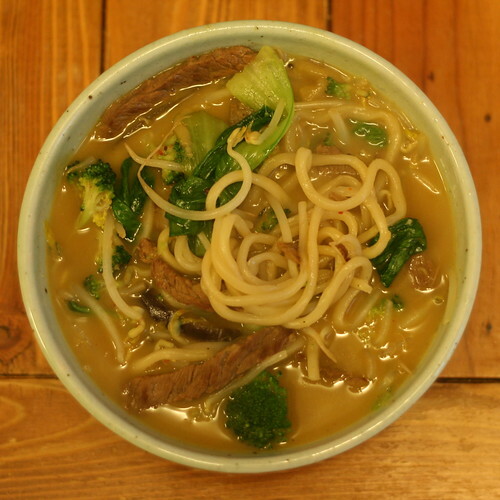 It adds an extra kick to both Korean and foreign dishes and is well worth picking up from the shops. Just make sure whichever brand you buy is chemical free. Any noodles will work with this dish, but there's something so satisfying about the thick knife cut noodles that makes this perfect comfort food.